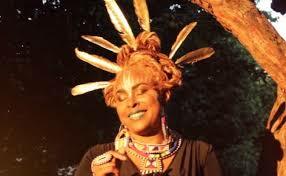 We have soulful music experience with songwriter, singer, composer, producer, and choreographer Navasha Daya! Daya is Co-Founder and Director of the Healing and Performing Arts at the Youth Resiliency Institute and her voice is featured in the film Lom Nava Love. The performer Mojo Magazine calls “Astral Soul Goddess,” Navasha Daya, will perform at the WEAA Big 4-0 Birthday Bash on January 28th. To learn more information and purchase tickets click here.